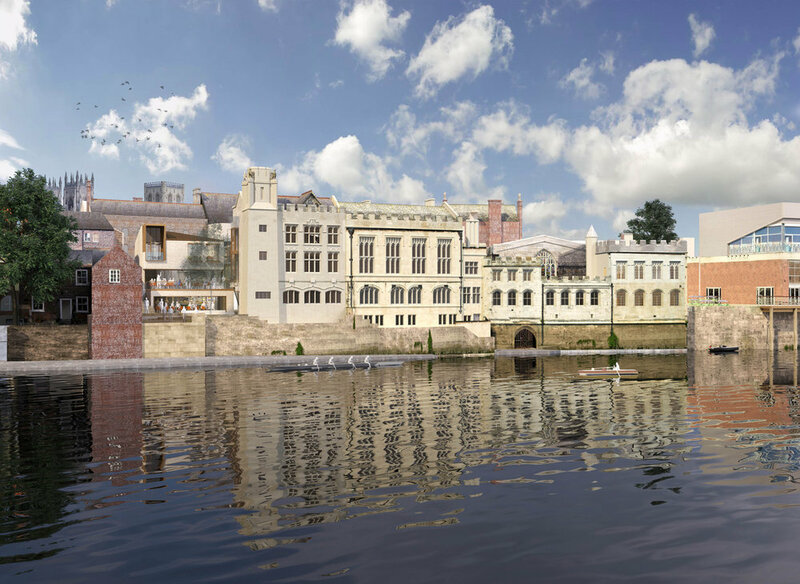 The redevelopment of York Guildhall will begin on site in January after City of York Council appointed a contractor. The council has appointed Interserve to carry out the £9m transformation of the historic Guildhall into a 'world-class civic and business venue'. The site, including buildings listed Grade I, II* and II, will be transformed into a 21st century workplace, centred around an enhanced Guildhall that will act as an arts events and multifunctional hall for the city. At the same time, the Guildhall’s civic functions will be retained to preserve the site’s 600-year association with the city’s governance, commerce and culture. A new extension will provide high quality office space and a restaurant, set within a new riverside courtyard/garden to improve public access throughout the complex and enhance the public realm in the historic city.